Researchers in the U.S. have found evidence of the infectious agent that causes sporadic Creutzfeldt-Jakob Disease (sCJD) in the eyes of deceased patients. The discovery could lead to the development early diagnostic tests for the disease—which is caused by abnormal forms of normally harmless prion proteins—but also suggests that the disease might be transmitted through procedures such as corneal grafts. 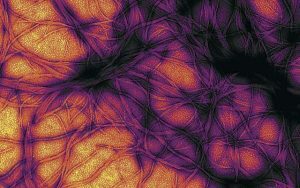 Prion diseases occur when misshapen prion proteins accumulate in the brain and cause lesions that can lead to progressive neurodegeneration. CJD is the most common prion disease in humans, and is classified as sporadic, familial, or iatrogenic (caused by a medical treatment or procedure). While many people are aware of the very rare cases caused by eating beef that has been infected by a similar disease, bovine spongiform encephalopathy, or “mad cow disease,” about 85% of cases of CJD are sporadic, with patients having no known risk factors. About another 10–15% of CJD cases in the U.S are hereditary and linked with genetic mutations. In acquired CJD the prions are transmitted through medical procedures such as corneal grafts. sCJD is often challenging to diagnose, the authors write, but visual disturbances are a common early symptom in about 10–20% of cases, and as the disease progresses more than 40% of cases develop eye problems. Blindness will ultimately develop in up to 42% of sCJD patients. 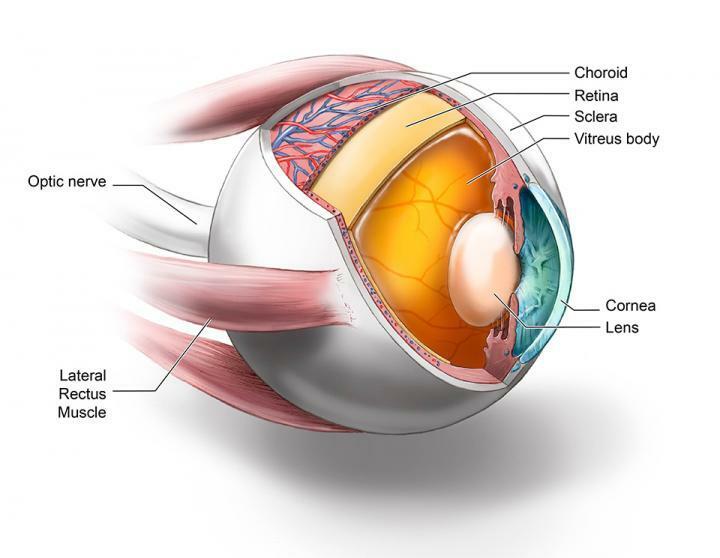 Previous studies have shown that the eyes of CJD patients can contain infectious prions, but what isn’t yet understood is the distribution of prions in the different tissues of the eye. The risk of iatrogenic prion transmission through ophthalmic procedures isn’t known, but there have been probably cases, the authors pointed out. “Corneal grafts from prion-infected patients have led to two probably and three possible cases of iatrogenic prion transmission.” The risk of transmission through ophthalmic procedures is particularly relevant given the rise in corneal transplantation surgery worldwide. In the U.S., for example, about 64,000 corneal transplants are carried out per year. The researchers used the highly sensitive and quantitative real-time quaking-induced conversion (RT-QuIC) assay to look for prion seeding in eight different ocular tissues, including the cornea, lens, ocular fluid, retina, and optic nerve, in the post-mortem eyes of 11 patients who had died from sCJD. The RT-QuIC technique was developed by co-researcher Byron Caughey, Ph.D., at the NIH Rocky Mountain Laboratories in Montana, and is used by clinicians to diagnose sCJD in people, commonly through cerebrospinal fluid and nasal brushings.